Examining your oral and dental health is of paramount importance for your overall state of health. Infected dental and/or periodontal sites, however small, can have significant repercussions on the various body systems in later life. This is what is called a dental focal infection. Numerous studies, conducted over a period of more than thirty years, have highlighted certain relationships between vascular heart disease and infected oral sites. What are the risks generated by compromised oral hygiene? In fact, 50% of endocarditis cases (inflammation of the internal structure and valves of the heart) are due to dental infections. One in three lung abscesses has a dental origin.Gingivitis during pregnancy, for example, can increase the risk of premature birth. Using the latest panoramic or 3D medical , imaging technologies our surgeons make an accurate diagnosis in order to offer a treatment plan suitable for the patient. Our surgeons make an accurate diagnosis in order to offer a treatment plan suitable for the patient. When taking a medical history, it is quite common for patients to mention migraine symptoms or back pain, the cause of which is often linked to a dental functional imbalance. A good diagnosis leads to a postural study making it possible to relieve chronic pain. In addition to clinically obvious dental foci, all devitalized teeth with closed ducts, even if there are no pathological symptoms, should be considered as possible causes of irritation or infection. Relying on the latest technologies of imedical imaging, panoramic or 3D, our doctors will establish an accurate diagnosis in order to propose a treatment plan adapted to the patient. Given the vital importance of the dental check-up for health, Dr. Gachet initiated a specific protocol to establish a personalized study, according to the medical history, the living environment and the social environment of each patient. patient. During the anamnesis, it is quite common for patients to evoke symptoms of migraines or back pain, the cause of which is often linked to a functional dental imbalance. A good diagnosis will guide them towards a postural study which will solve these chronic pain. The Bio Dentistry label certifies inspection of the techniques and precise traceability of all materials and products used in the mouth. 1. Precise medical history of the patient. Clinical examination carried out by our dental surgeons. Your teeth and the entire oral area will be examined. Your teeth as well as the whole oral area will be examined. (OPT, panoramic radiography, analysis of dental arch from left to right)Dental imaging Using dental imaging, we can check the bone levels, detect early infections, check the quality of implant integrations and provide a visualisation of any cyst associated with a faulty root treatment. 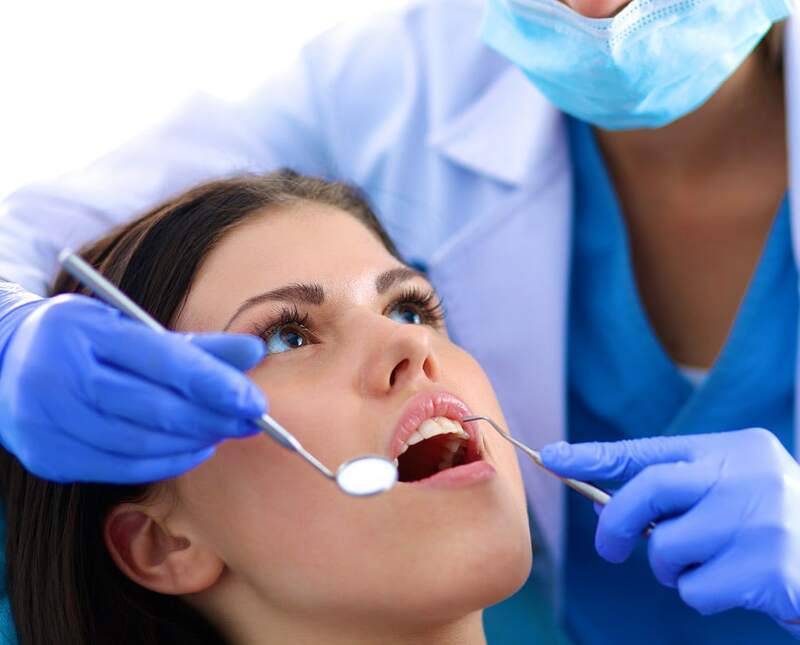 Our hygienists take care of you for a complete descaling of about 40 minutes. In addition to the intense sensation of freshness provided, this treatment prevents problems of periodontal disease (diseases affecting the tissues of the teeth). In case of defined risk area, they will perform accurate radios on suspicious teeth. With the help of a color developer, our hygienists will finally evaluate your brushing method to give you advice if it is necessary to change it. Risk assessment of contamination 6. Complete diagnosis, risk assessment of contamination associated with previous treatments using heavy metals (link to page “Heavy metal decontamination)”, screening of functional problems and aesthetic analysis. I was treated two months ago at the clinic because I wanted to harmonize my smile (I had already used an orthodontic appliance without success). I wanted to say that I was very well attended, all the professionals are very efficient and explained everything to me. I had no pain, the treatment was fast and I found everything very clean! Super recommend for those who need a specialist to realize their dream. Thank you all! I suffered a lot of teeth and was afraid to have major interventions with a dentist. I was impressed by [...] the aesthetics: I was asked to make ceramic prostheses made to measure and on site. They are so perfect that now I also want to have facets on the front teeth. I am really delighted with this firm that really gives very high-end benefits. Irreproachable quality of service, painless manipulations of the dentist, a great collaboration with the dental prosthesis laboratory within the clinic. A big thank you to Dr. GACHET and all his team. At the end of the dental check-up, we send you a personalized treatment plan that details our multidisciplinary therapeutic recommendations.